Visions of the Oracle Now Available! From the lips of the Oracle spill the secrets of the gods. The divine powerhouse from the Pathfinder Advanced Players Guide just leveled up. 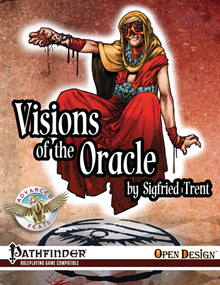 Advanced Feats: Visions of the Oracle by Sigfried Trent brings you 30 new feats and three full character builds that will fill lesser mortals with fear and awe. Your future foretells a class breakdown highlighting the Oracle’s strengths and weaknesses. From there we divine 30 new feats to channel the will of the gods. Burn away impurities of the flesh with Elemental Boost. Punish those who dare interrupt your casting with Mystic Retribution. And combine magic and martial skill effortlessly as a Battlecaster. Three full character builds from levels 1 to 20 show you how to bring all the pieces together to make fun and powerful characters or quickly bring an NPC to life. The Visionary Healer nurtures the threads of life in the tapestry of fate. The rising Phoenix foresees a world embraced by apocalyptic flame. And the the Savage Seer wades into battle reading the future in the spray of arterial blood. 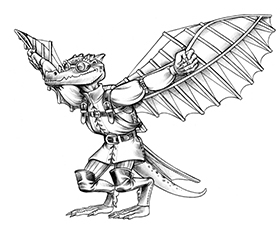 You can get Advanced Feats: Visions of the Oracle in PDF format at the Kobold Store. 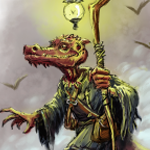 Also, check out Advanced Feats PDFs for the Alchemist, Cavalier, Summoner, and Witch. Yay! I was wondering what class would be next. I’m already eager to see what you’ve done with this class!